Welcome to the QA & Governance section which addresses the accreditation of Pelvic Floor units, standards of practice and peer review. It also contains guidelines and commissioning doccumentation pertinent to the Pelvic Floor. The Pelvic Floor Society has an obligation to ensure high quality care is provided to patients with pelvic floor disorders. As such the society has strived to identify the components that make up the optimal pelvic floor service in terms of resource and process. These criteria have been assembled and their importance stratified by consensus to identify a benchmark of quality care which can be formally assessed to as part of an accreditation process . We wish to invite all units to submit data to this accreditation process. A peer review carried out by at least 4 peers who are ordinary members of The Society will allow feedback as to whether these standards are met or where components of unit performance may be improved. It is hoped that, if carried out correctly, such a process will benefit its members in terms of recognition if standards are met and providing leverage for more resource if standards are not met. 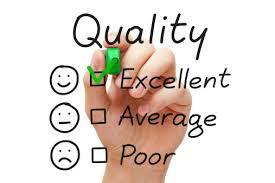 More importantly the patient will benefit from confidence that quality assurance is guaranteed as far as possible. The proposed criteria (KPIs) and their weighting are detailed below. Some are regarded as mandatory (ie they require a score of greater than zero). A total score of greater than 75 indicates achievement of the necessary standards. The process is not meant to be dictatorial, merely to provide peer review. It is proposed that those that meet current standards will be registered as ‘accredited by The Pelvic Floor Society’ for a period of 3 years. Those that do not meet all the criteria will be directed to areas that may be improved and invited to resubmit at any time. Wherever possible, support will be provided with the aim that all units that apply will eventually meet these criteria and be accredited. The process has now been validated with 2 units being formally accredited. We are in a position to accredit further units and encourage all of those units who wish to undergo the process to contact steven.brown@sth.nhs.uk and provide the information detailed below. If you would like to be an assessor for this process could you send your details to steven.brown@sth.nhs.uk. If you have feedback regarding this process please also feel free to contact. IN 2014 ACPGBI UNDERTOOK A CENSUS OF CURRENT COLORECTAL SURGICAL PRACTICE ACROSS THE UK. ANDY WILLIAMS ANALYSED THE CENSUS DATA REGARDING PF PRACTICE AT THAT TIME. Dedicated PF Clinic or equivalent per week including secondary and tertiary referrals as part of a multidisciplinary service. Evidence of training in an accredited unit, which provides the full range of investigations and treatments required for training. Regular anorectal physiology & urodynamic sessions either personally or in a supervisory capacity. Provide three clinical sessions in PF per week. One major procedure associated with pelvic floor dysfunction i.e. incontinence and prolapse per working week per year. In the early 1990s it was recognised that treatment of cancer required a dedicated and formal MDT if cancer treatment was to be delivered by specialists rather than generalists with the additional aims of: avoiding missing factors relevant to the decision making process about treatment, allow a robust audit processes to be developed as well as improving communication with patients. There is a widespread perception that MDT working has brought benefits to patients and that the decision making process has been improved. Pelvic floor management is in many ways more complex that cancer management. The pelvic floor consists of multiple compartments traditionally managed by completely different specialties who may have different views about therapy. And yet pathology of the pelvic floor often affects multiple pelvic compartments. The complex nature of disease often requires multiple specialists involved in investigation and treatment. And yet many staff work in isolation with surgeons, physicians, radiologists, specialist nurses and physiologists having little direct discussion. The evidence base for therapy is poor. There is a desperate need for robust research and audit, which is not possible unless there is a method streaming patients and collating data. With such a complex management pathway there is a paramount need for uniform and clear communication with the patient as well as primary, secondary and even tertiary care. The argument for a pelvic floor MDT appears strong. It would bring together staff with the necessary knowledge, skills and experience to ensure high quality diagnosis treatment and care. However, other than following the blueprint of cancer MDTs there is very little data to guide the definition and constitution of such an MDT and how to assure such teams will deliver consistent high quality care. Recognising this need The Pelvic Floor Society has prioritised the development of this guidance. There is no direct guidance about the definition, role or accreditation of a pelvic floor MDT. Characteristics of an effective multidisciplinary team are detailed in a document produced by the Department of Health. This gives details of what constitutes and effective MDT for cancer treatment. Many aspects of design can be extrapolated to the pelvic floor scenario. NICE guidance exists for the treatment of faecal incontinence. This document recommends that ‘people who report or are reported to have faecal incontinence should be offered care to be managed by healthcare professionals who have the relevant skills,training and experience and who work within an integrated continence service’. The document suggests who should be involved in care. British Society of Urogynaecology. Standards for Service Provision. This document proposes methods for accreditation of services in a specialty closely associated with colorectal pelvic floor. Healthcare professionals recognised amongst their peers to have the relevant skills, training and experience to manage patients with pelvic floor conditions were questioned as to their views and opinions. Patients being offered the opportunity to be involved in clinical trials, regardless of age. Good data collection, both for the benefit of the patient and for robust high quality audit and research. Optimisation of resources by more efficient working and standardisation of outcome measures. The Team: Members will be considered as core or essential to the running of a pelvic floor service. These core members will include at least one colorectal surgeon who specialises in performing the spectrum of operations that may be needed to treat the conditions. A pelvic floor physiologist and/or a specialist nurse who undertake diagnostic evaluation of pelvic floor abnormalities and introduce and optimize conservative management at an early stage and a urogynaecologist. It will also iclude a radiologist with an interest in pelvic floor disorders who is able to offer a high quality dynamic defaecography service and interpretation of endoanal ultrasound as well a a member of administrative staff to ensure documentation is accurate and effectively recorded. - Alternative therapist specializing in acupuncture/homeopathy. MDT members (core and extended) should have dedicated time in their job plan to prepare for and attend MDT meetings. The frequency and amount of time dedicated to such meetings should be negotiated locally to reflect the local workload, but should be no less that monthly. The chair is responsible for raising concerns about non-attendance and escalating these concerns if necessary. Frequent non-attendance should be addressed in the appraisal and job-planning review. Extended members and non -members attend for the cases that are relevant to them. There should be a register maintained of those attending and minutes recorded. Ensures it is clear who is going to action any interventions and that this is recorded. It is essential that each MDT member has mutual respect and trust of each other and has an equal voice with different opinions valued. Best practice should be shared with an opportunity for learning from each other. There should be a dedicated room with a layout to allow all members to sit and hear each other and view all presented data. Ideally, each meeting should be combined with a small presentation or journal review on a topical issue, which may involve any aspect of colorectal, urological or gynaecological pelvic floor topic. In particular for specialist centres, this will allow for research performed locally to be effectively disseminated amongst collaborative groups. MDT meetings should take place regularly as case volume dictates and at times so as not to clash with related clinical commitments such as pelvic floor clinics. Cases for discussion should be identified by each core member and included for submission to the chair. There is a locally agreed cut off time for inclusion of a case on the MDT. Flexibility for urgent cases should be allowed. The patient list is circulated to all members prior to the meeting, which includes a locally agreed minimal dataset. There is access to all relevant information at the meeting including patient notes, test results, images and appointment dates. Ensuring processes are in place for communicating MDT recommendations to patients, GPs and clinical teams within locally agreed time frames. Ensuring the agreed actions are implemented or the MDT is notified of significant changes made to their recommendations. There should be local criteria in place so it is clear when to send a case to the MDT for consideration ie clarity on:which patients should be discussed & the clinical question? There views should be represented by someone who has met the patient whenever possible. However, referrals to a designated lead within specialties is encouraged. All clinically appropriate treatment options should be considered even if they cannot be offered locally. There should be access to a list of all current and relevant clinical trials and suitability should be considered for each patient. Standard treatment protocols should be in place and used when appropriate. If data is missing or incomplete it should be possible to bring the patient back for further discussion when the data becomes available. It should be clear who will communicate the MDT recommendation to the patient, GP and clinical team. This should be documented and filed in the patient’s notes (the responisibility of the admin staff). There should be internal and external audits of process and outcome. This should include an annual general meeting for discussion of outcomes and an accreditation process for pelvic floor processes of units. Regular audits of standardised outcomes reporting to the core MDT group as evidenced by minutes at governance meetings. The process whereby units will be accredited as nationally recognised pelvic floor units has yet to be developed. It will have to include definitions of what constitutes a colorectal pelvic floor specialist and what resources are available to them. However, it is clear that one important aspect of such a centre is whether an MDT exists and whether it meets the categories outlined in this document.